Quite often we listen to the statements like the UI or UX of a software product or website is not good. Are these simply the jargons of IT industry? Let us understand what these terms really mean. Well, UI stands for User Interface and UX stands for User Experience. While UX is more like a statistics analysis of user journey or how they interact with a product or website, User Interface is the graphic design that creates the look and feel. Both of them are crucial for the success of any software product and website. Catch attention of user: If you want your user to observe something on some page then it should be easy to discover that. You can do this simply using heavier fonts or contrast colors. Think ahead in time: You must design the website or software with your users convenience in your mind. 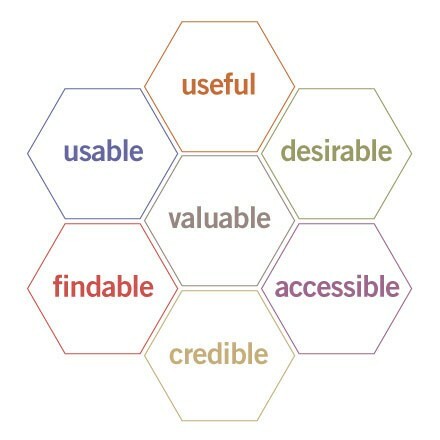 Use your design extensively to identify the things your user might be looking for. Error free touch points: Ensure that users are able to reach you from all the touch points within your design. Keep the energy flowing: A modern look and feel ensure the good experience of your users. you must refresh the design when it goes obsolete. Who are the audience? If you already have a website then who are your current end users? What information needs to be communicated to these users so that they can perceive the website as helpful? Is the intended goals of these users or the message likely to change in the future? Are your motivations for working on the UI and those of the intended users, aligned? What are the top factors like time, cost quality, risk, change and scope going to effect? Do you have the freedom to design unconventional solutions, or users are more happy with standard design that may be more appropriate to the context? What is mutual gain of business and user from the design? From which devices your website or product will be accessed and what is their priority? Are there any constraining factors like accessibility, multi-language support, corporate branding guidelines, CEO’s favorite colour etc? Who are the people creating a solution for users on their journeys? User Experience designer as the name suggests mainly concerns with the experience that any particular product gives to its user. A new product is designed with certain pros and cons and UX designer analyzes possible solutions to all the problems that a user can face after the product is released. The prime responsibility of a UX designer is to check that the product is following the step-wise instructions without fail. Some specific tools that a UX designer uses include Photoshop, Illustrator, Sketch, InVision, Fireworks. UX designers are mainly concerned with the experience of the product. UI designers focus on the concepts by which the product will be presented to the user. This includes design of each page or screen which is displayed in front of the user for interaction. UI designer takes care of how display errors or warning statements are presented on screen. There is a very thin line between UI and UX designers, and most companies opt to hire a single person to perform these two roles in combination. A visual designer is basically the one who looks after the graphical content and is ready to push pixels to deliver a better picture quality. The main concern of Visual Designers is creating amazing icons, beautiful visuals, and controlling elements using typography. Visual designers most of the time work in Photoshop at 4X to 8X zoom level. Some companies pull UI designers to do double duty and perform activities that a visual designer does. Visual Designers mainly deal with static images but Motion designers focus on adding moving animations in any app. Their main concern is the activity of an Interface after the user has touched its screen. They will decide how your menus screen will slide using tools like Core Composer, AfterEffects, Origami, Flash. UX researchers have access to huge company data and a responsibility to draw conclusions from that data. Sometimes UX designers carry out this role as well. Tools used by UX Researcher include Mic, Paper, Docs. Product designer’s main work is to create an eye-catching look and feel for the product under development. However, the main role of a Product designer varies from one company to the other. Most companies look for “UX designer” to execute all the design tasks mentioned above. What a UX/UI designer is like? They don’t remember what they did for your company. It is very easy for them to forget what your personal tech is all going about. UX/UI designer have much work to do in a day, and they don’t spend their whole day working on your site. A good designer knows this fact very well and so they infuse this strategy in their products as well. Readers are least interested in the fact that an app highlights and they strictly believe in taking actions. When we have a mission, we work blindly to complete it. This doing mode is very beneficial because it helps developers to ignore the obstacles that keep them away from completing the task on time. When any developer creates a complex app, no user ever reads the rules and regulations and they simply start using the app without going through any of the effects a developer had ever anticipated. Sometimes these rules give a user an opportunity but most times it is nothing but a drag. The Pattern is easy to follow, most developers follow the same pattern to maintain uniqueness in their work. The ability to identify that particular pattern and use it into the app is another important thing that helps a developer stand out from the crowd. There is a lot of difference between the content that you think is available on screen and the content that the user think would be available on screen, and between these two opinions user’s opinion is what matters most else it would create a gap in communication.